I didn't have time to post this yesterday, which was my intent for Thankful Thursday, but I am one proud Nana!! And so very thankful for the most wonderful little boy in my life, my grandson, Brady. 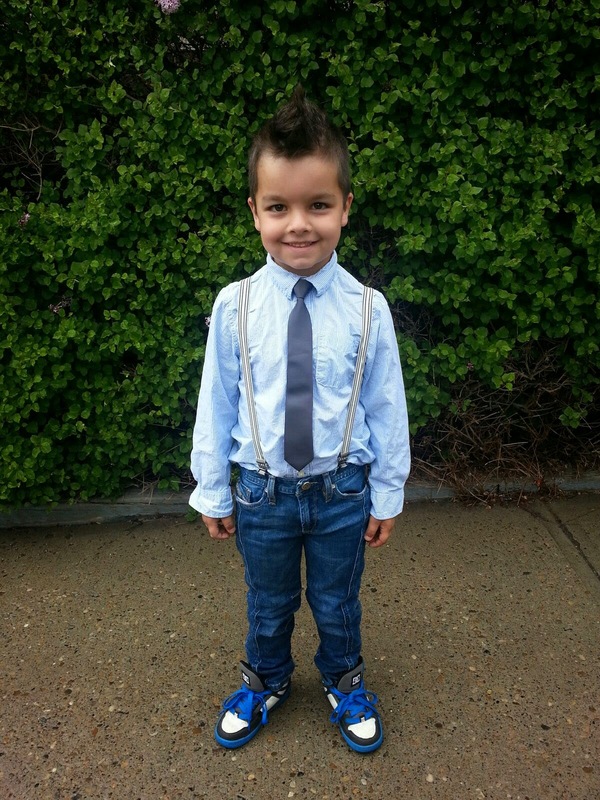 He graduated from kindergarten yesterday. I cannot believe where the nearly 6 years has gone since his birth. He will be six this summer. Of course I made him a quilt for his birth. 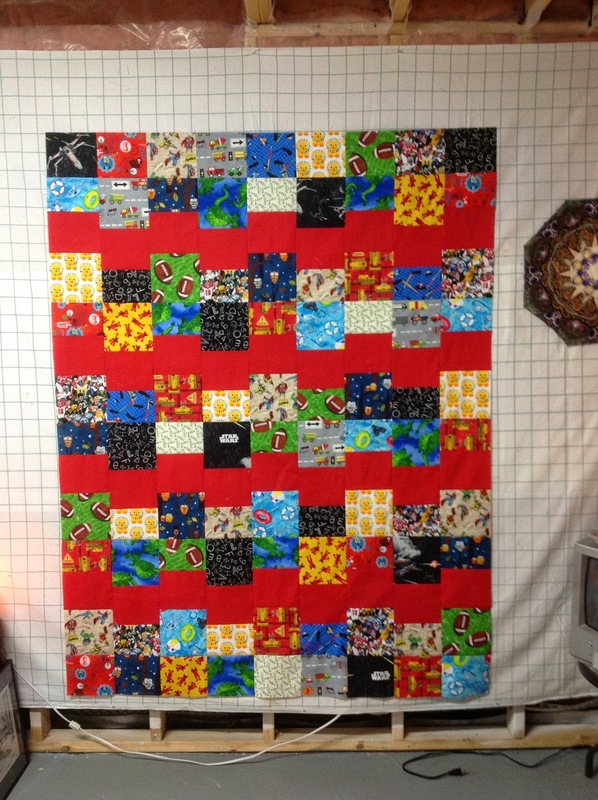 Hmm, think I've loved scrap quilts for SOME time. . . every single piece of the fabric was from my stash or scraps. Being a Leo, he had to have lion fabric on the back. This is some of the leftover fabric, used for a magic bag cover. I quilted his name into the quilt. I sewed and quilted it on my Bernina. I bought all the fabric at Rainbow's End Quilt Shop in Dunedin Florida, except for a couple of pieces I added that I found in JoAnn's Fabrics. 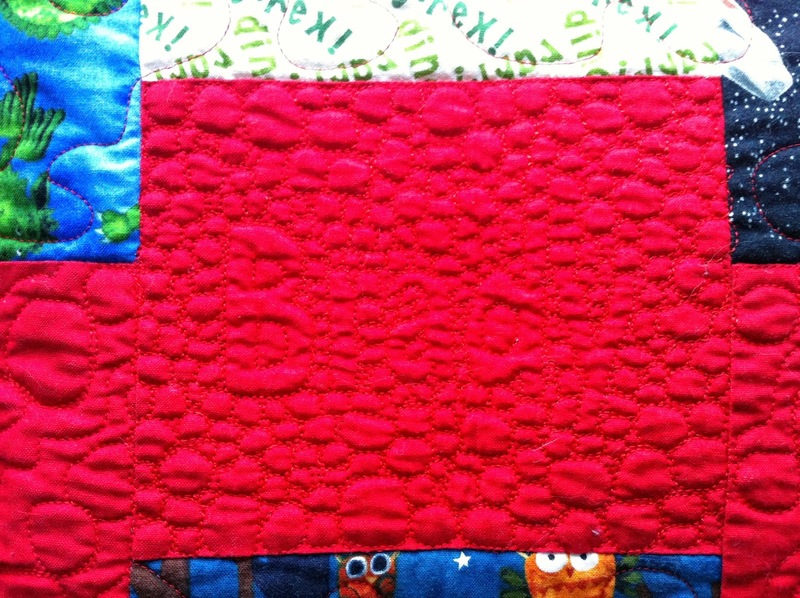 The red is Kona from one of the local quilt shops I frequent, Alma Sue's Quilts. 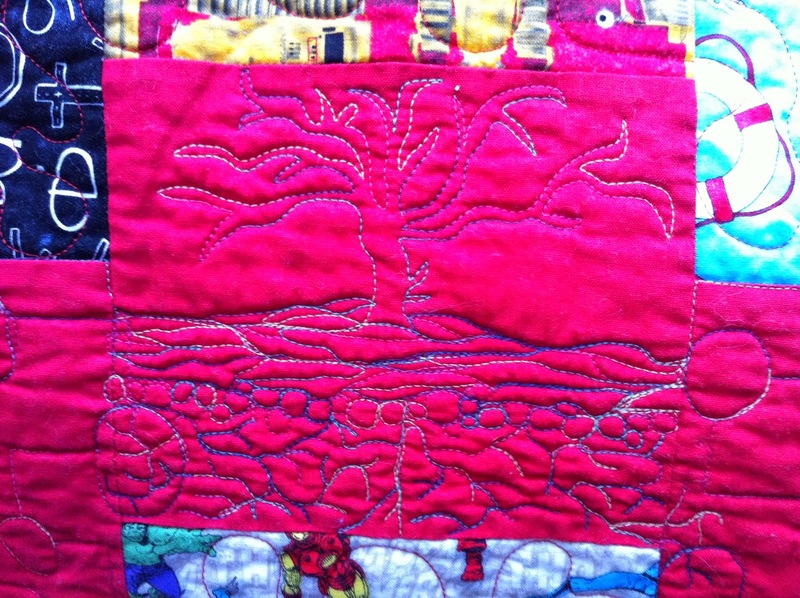 The backing is Dr. Seuss that I got at another of my LQS, Cotton Patch Quilts. Gotta spread my love! I am pretty proud of the FMQ on this quilt. It was only the third quilt on my new-to-me Avanté. Leah Day was my go-to gal for all of the designs. Sorry that the lighting isn't so great on some of these pictures. I used a primary colours variegated King Tut 40-weight thread on the red and I'm so glad I did, as it gave it so much interest. It did produce more lint than a finer cotton, but it sewed like a dream. If you've read a some of my posts, you'll know that I always work my name as well as the person's name to whom the quilt is going, into the quilting. I did a meander over all of the busy prints. I used a red Isacord here. Again, it sewed like a dream. There is nothing I've thrown at my Avril she won't handle. I just could not resist doing some special designs in that gorgeous red Kona cotton, his favourite colour. The good old Gothic D for all things Detroit; my husband grew up in Windsor, aka "south Detroit"
Her instructions for quilting that design without a mark are just excellent, and I couldn't (and still can't) believe I just drew that with the machine! All his favourite and meaningful things are in the I Spy parts: lions, swimming, Elmo, diggers, football, hockey, ABC, superheroes, Star Wars, dinosaurs, and so on! We had fun playing I Spy with it, as he was right into I Spy at that time. We took it to him last May when we drove out to Alberta, a 3-day trip from here. It is so hard being so far away from this child of unbelievable character, poise and gentleness, as well as talent at all things sports, particularly swimming! He is always so happy and at ease in the water, and always has been, right from his first bath. He was fussing ahead of time, but as soon as his body was immersed, he relaxed and kicked his fat little legs quite contentedly! We cannot WAIT to have a week of him all to ourselves at the end of this summer when he and Brianne are flying down here! Update: Duh! Forgot to link up as I'd intended, with Sarah of Confessions of a Fabric Addict as I am definitely doing a happy dance because of Brady, who makes me happy every single day, but even more so with his kindergarten graduation! And I've now also linked up with Lizzie Lenard Vintage Sewing! What a lovely colourful quilt - Brady looks so pleased with it. 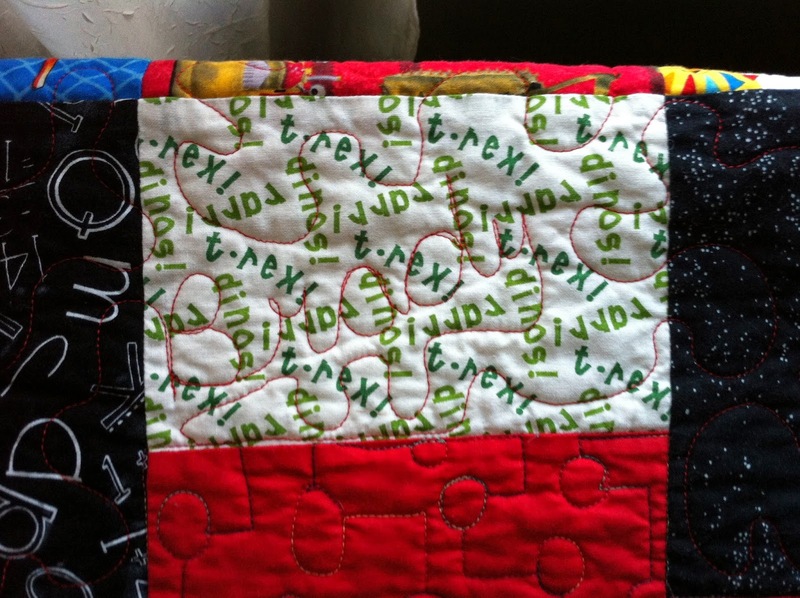 The FMQ is so interesting and varied, especially with personal touch with the names quilted in. Would you like to link up with the linky I have started on my blog, Free Motion Mavericks? It is early days yet, and it would be wonderful to see you there. 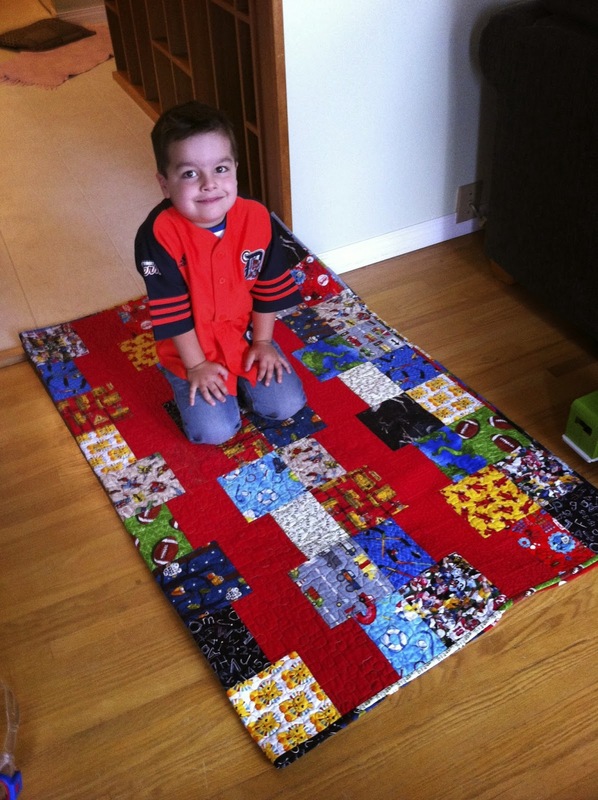 What a lovely colourful quilt - Brady looks really thrilled with it! 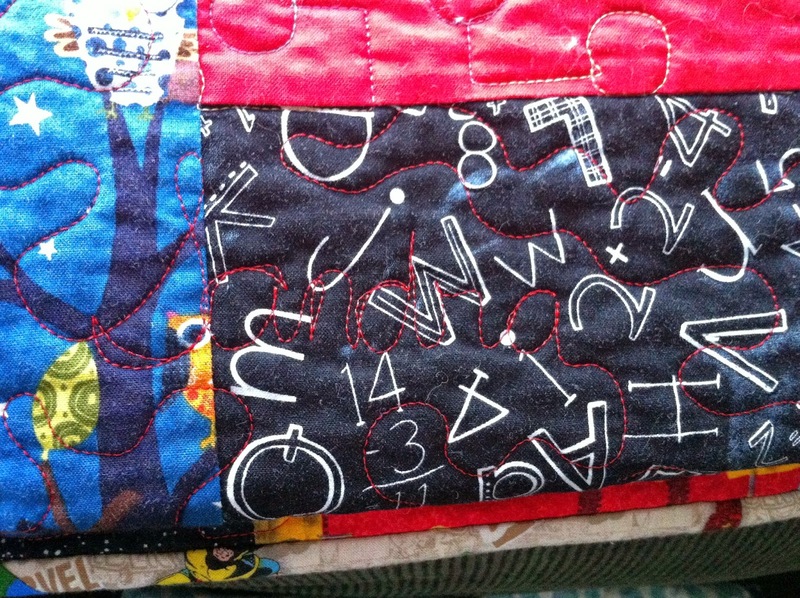 All the different FMQ patterns make it really interesting, and the quilted names add a special personal touch. Would you like to link up with the new linky I have started, Free Motion Mavericks? It is early days yet, and it would be great to see you there. Sandra - Excuse the double comment! It came up saying error the first time, so I did it again. Computers can be so temperamental. 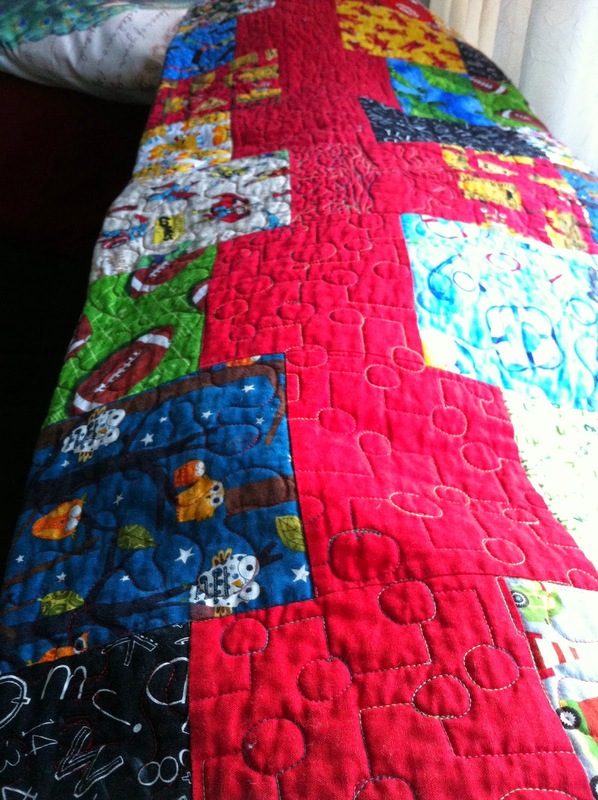 What a lucky boy to get such a special I spy quilt. 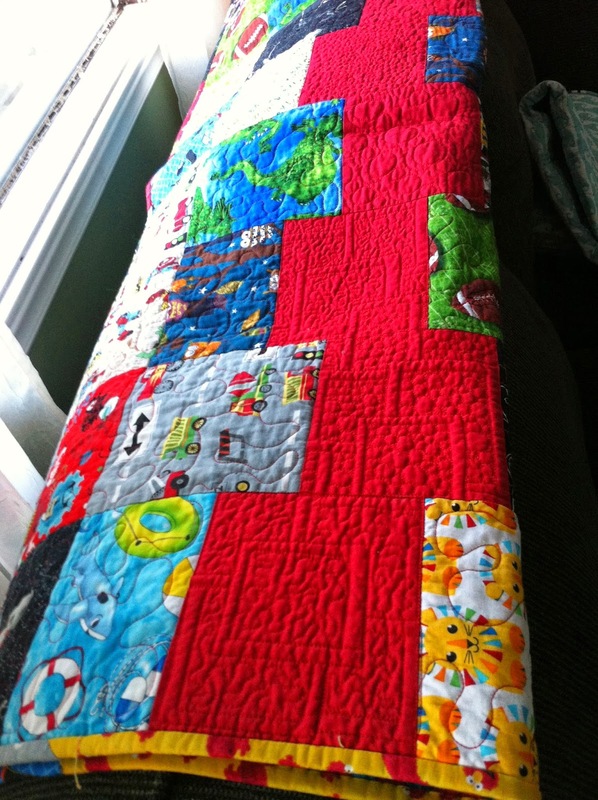 I also made one for my granddaughter but would have added the special tough of "quilted in" names. Really cute. Aw love Brady so much, I'm so grateful he's my great-nephew; such an incredible soul he has!! I love his quilt. When you were here last year with it, I LOVED looking at it and playing I Spy myself with it! SOOOO much to see, to find, to become immersed in. Such incredible talent, thought and love interwoven throughout.